We've been hearing talks about a Wargames remake going back all the way to 2011 when Horrible Bosses-helmer Seth Gordon was attached to make the movie, but now the film is finally ready to move forward again - albeit with a new writer and director. New reports say that Dean Israelite, the filmmaker behind the upcoming time travel thriller Project Almanac, and Arash Amel, the screenwriter behind the Aaron Eckhart thriller Erased and the upcoming Grace Kelly biopic Grace of Monaco, are now in talks with MGM to start working on the reboot of the 80s techno thriller. The first name on the list is Ansel Elgort, who you may also know as "That Guy Who Hangs Out With Shailene Woodley A Lot." 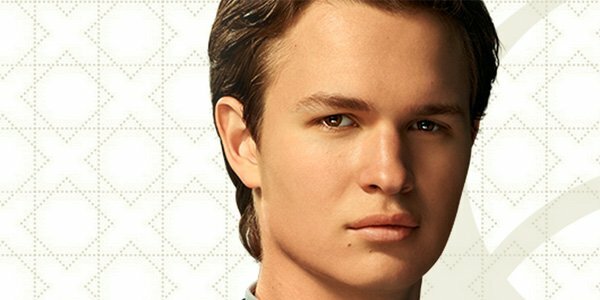 This year he starred with the young actress in both The Fault In Our Stars and Divergent, and prior to that his first professional film role came in the 2013 remake of Carrie. He is currently working on the Divergent sequel, Insurgent, and also has a part in Jason Reitman's ensemble Men, Women & Children. 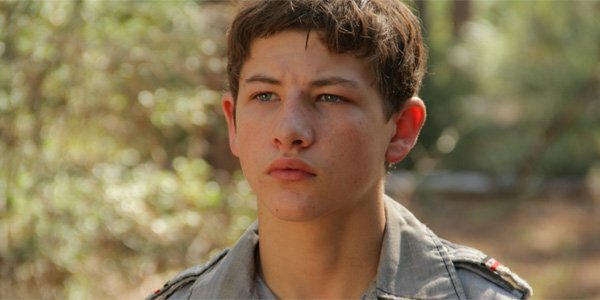 Tye Sheridan seems to be Elgort's biggest competition for the part, but he is definitely a tough opponent. The young Texas-born actor made his acting debut in Terrence Malick's The Tree of Life (earning rave reviews), and followed that up with performances in Jeff Nichols' fantastic Mud and David Gordon Green's Joe. He is currently filming the horror comedy Scouts vs. Zombies, but has also completed work on the adaptaton of Gillian Flynn's Dark Places, writer/director Kyle Wilamowski's drama Grass Stains, Philip Martin's crime thriller The Forger, and Rodrigo Garcia's Last Days in the Desert. The original Wargames told the story of a teen hacker who accidentally finds a backend into a defense department computer and accidentally puts the globe on the brink of World War III. Noah Oppenheim and Zak Penn wrote previous drafts of the remake, but it's unclear how much of their material will remain in the movie once Arash Amel has done his job. MGM seems keen on getting this movie made, so stay tuned for more updates.